Find information about our Lovely Nature Island Dominica. Hi, my name is Donaldson Magloire, founder of Nature Isle Explorers. The pleasure is mine to extend a hearty welcome to all visitors. 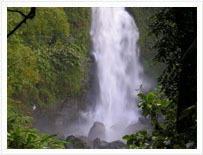 Nature Isle Explorers is an adventure tour company established to "EXPLORE the Nature Isle, DOMINICA". 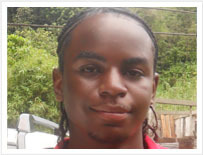 With 5 years experience in the tourism industry Nature Isle Explorers team of experienced professional tour guides and taxi drivers who are " Alvin, Mclean, and Mathew " will give you the most memorable Dominica tours around the island. P.S. If you not being toured by Alvin, Mclean, Alain, Marvin or Jean-Marie, then you are NOT with Nature Isle Explorers. 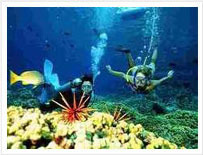 Nature Isle Explorers offer some of the best Dominica tours package and hikes at the most affordable rates. Be sure to book your interested Dominica tours and other touring/hiking services. The Dominica Jewel Tour is one of the most popular and one of the most exciting tour packages in the Dominica tours we offer. It comprises of some of the most attractive sites, Champagne Snorkeling,Ti Tou Gorge, Trafalgar Falls, Batanical Gardens, Morne Bruce View Point. Nature Isle Exploers has been open for business on January 1st 2018. It will be a pleasure to tour allour upcoming visitors in the new tourist season. We are already fully booked on September 26 2018. . Browse our tour package and take a look at our Dominica Jewel Tour. WE are the the EXPLORERS, "Nature Isle Explorers"